Mumbai is a huge metropolitan city where people of varying cultures and traditions reside together. Being one of the biggest cities in India and the world; Mumbai is an extremely popular tourist destination for national and international tourists alike. It has amazing tourist attractions known all around the world, but it also has huge shopping markets that offer some of the finest products that one can find. Mumbai has some of the best malls in the nation, which host outlets of the most popular Indian and international brands. Apart from all these brands, there are street shopping markets in the city which are much more popular than the malls and definitely worth a visit. The products that you can find here are affordable, unique and of excellent quality in most cases. 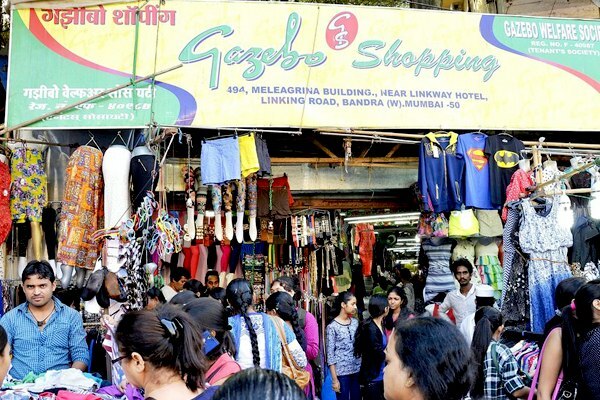 It is common to find such shops throughout the city, but there are a few areas where they have agglomerated and this is where one should head to for shopping when coming to Mumbai. It is common to find these areas crowded with tourists as well as residents, thanks to their popularity. 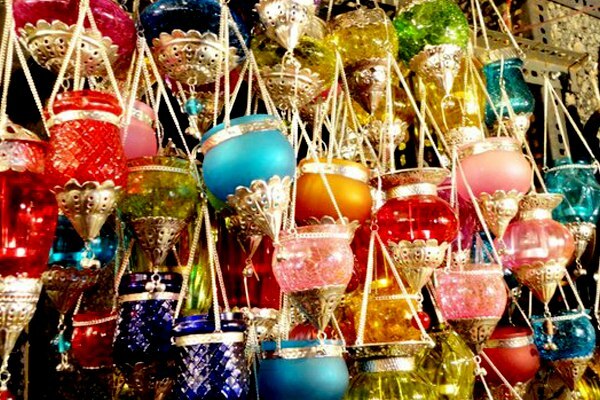 Here are the best places in Mumbai for street shopping. Linking Road has been a popular shopping destination in the city since ages and has undergone rapid expansion beyond the original market area. 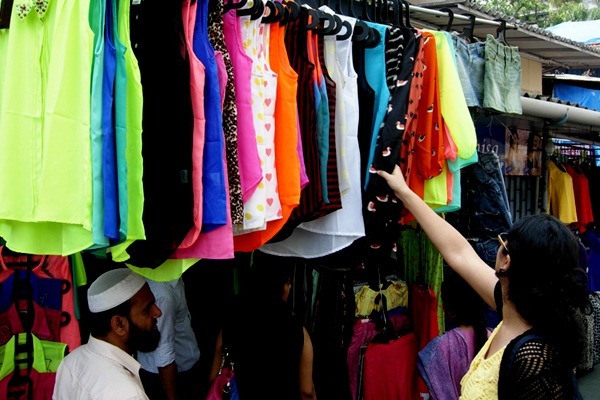 It is a heaven for shoppers with every kind of budget, ranging from bargain worthy street shops to niche fashion shops. Apart from the shopping, the overall experience is enhanced by the large number of food places around and the proximity to Bandstand and Carter Road, which are destinations worth visiting. How to Reach: Linking Road is 10-15 mins. walking distance from Bandra Railway Station (West). For those coming by road, from National Highway 8, take right on the flyover which goes to SV Road and take a left and drive straight to reach Linking Road. Colaba causeway is a lane that houses old buildings from the time of the British rule and has everything that one can ask for. From affordable street clothes to fashionable boutiques, this place has something for all pockets, and the variety of products available here is vast. 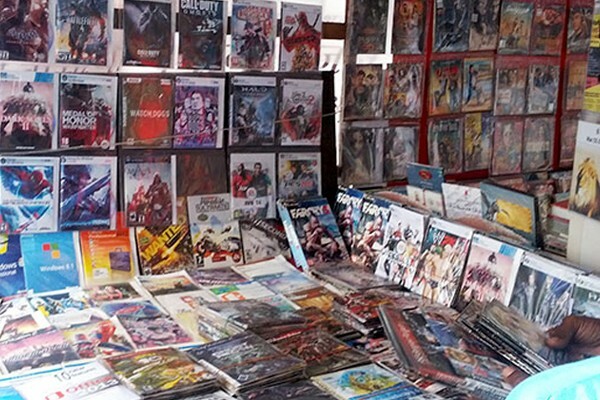 One can get some amazing products at throwaway prices by bargaining here. The area also houses Regal Cinema which is an old and popular cinema hall; the road behind the cinema also leads you to Gateway of India from where you can get amazing views of the Arabian Sea. There are some great food places here as well to satisfy your hunger. How to reach: The Causeway is close to the Churchgate station and one can take a cab from there to reach here. 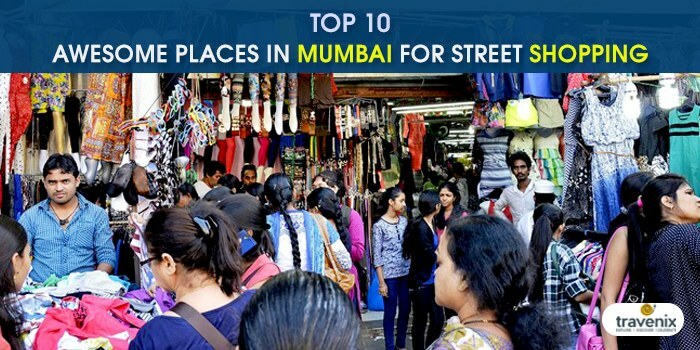 Fashion Street is one of the biggest shopping destinations in Mumbai with over 150 shops on the street; this area promises you more products than any mall can offer. It is famous for trendy and latest fashion accessories; you can even find designer brands here at throwaway prices. This is the typically vibrant flea market filled with people all the time; it is more than just a regular market, and one should be prepared to bargain here as the shopkeepers do quote higher prices to people who seem new to the area. How to reach: It is located at a walking distance from Churchgate, CST and Marine Lines stations. 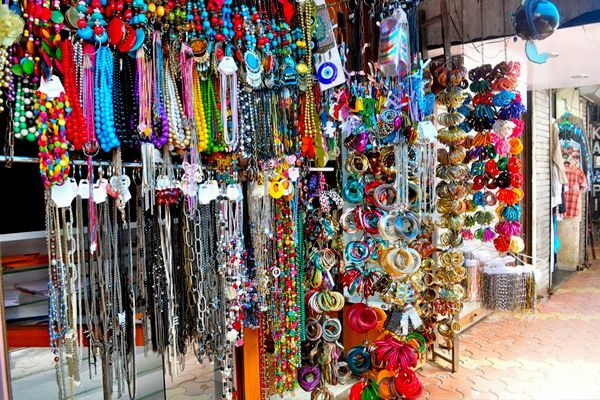 Hill Road market is located very close to Bandra railway station and is covered with small shops and street side stalls that sell almost every type of fashion accessory one can think of. It is a long stretch of road, so it is better to wear comfortable footwear while visiting, and the best time to do it is during the evening hours. Most of the clothes here are export rejects and may have some minimal defects, so do look carefully before buying. How to reach: The Street is at a walking distance from Bandra railway station. Crawford Market is one of South Mumbai’s oldest markets and is nearly 150 years old. It is located very close to the Chhatrapati Shivaji Terminus (CST) and houses a wide variety of foods, cosmetics, household and gift items. One can find many Chinese toys, artificial jewelries, and party products here. How to reach: One can take a cab or walk down from CST railway station. 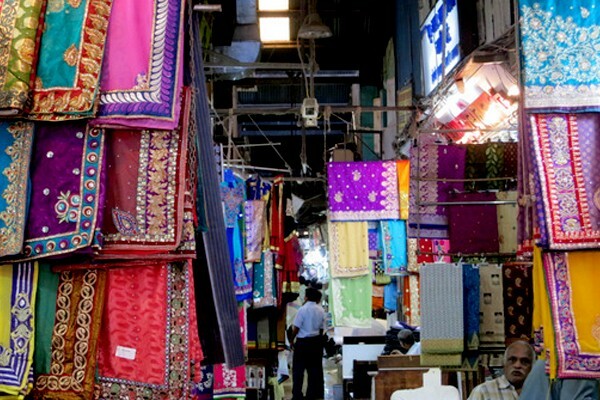 Hindmata market is THE place to go to for traditional Indian clothing. From beautiful designer sarees to lehengas and sherwanis, every kind of traditional dress is available here at dirt cheap prices. The market is a heaven for those looking to buy clothes on a wholesale basis as the clothes are sold at much cheaper rates when purchased in bulk. How to reach: The market is close to Dadar railway station and one can take a cab or walk down from there. 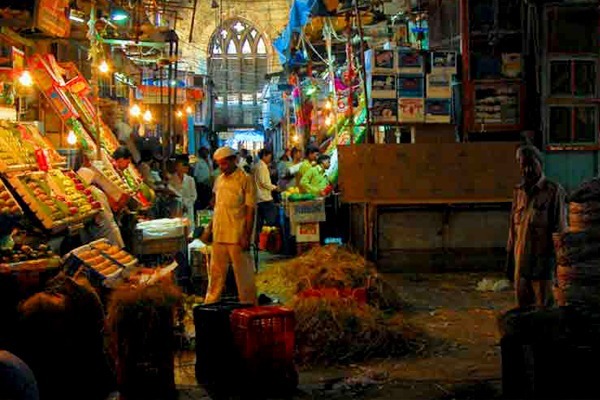 Chor Bazaar literally means ‘Market of thieves’ and is an old market that was used by thieves to sell off stolen goods. 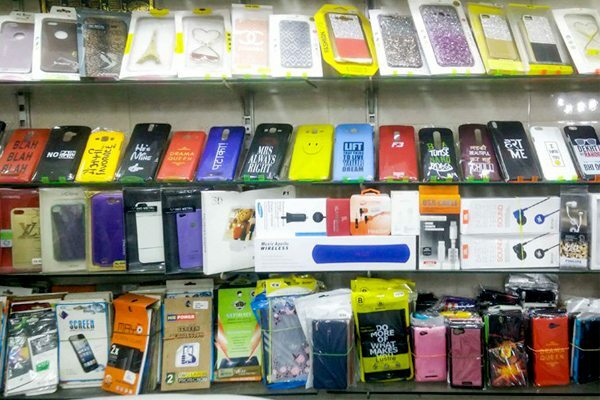 It is located near Grant Road station and Sandhurst road station and is now a market that sells first copy products that look exactly like branded ones but cost significantly lesser. You have to be street smart while shopping here as the shopkeepers quote much higher rates, so one must bargain well. 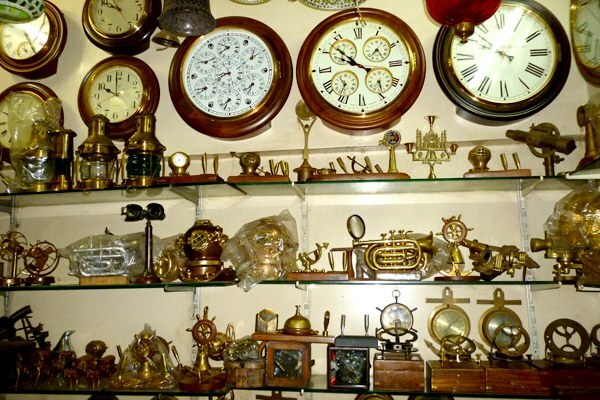 There are also many shops here which sell antique products as well and this is one of the best places in the city to get them. There is also a Friday night electronic market and Andheri bazaar here (4-7AM) every Friday. How to reach: Catch a cab from Grant Road railway station or Sandhurst Road railway station. 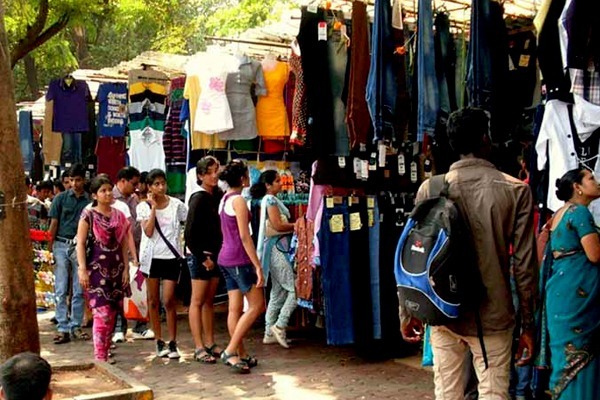 Lokhandwala Market is located in the Lokhandwala complex suburb of Andheri and is a narrow lane filled with all kinds of shops that offer a wide variety of fashion accessories for men and women. This is one of the few places where the variety for men is also extremely good. Apart from clothes, one can get first copy wrist watches, phone covers and accessories, handbags and more. After all this shopping, one can definitely get hungry, and this area even offers some lip-smacking street food as well! How to reach: Catch a rickshaw or bus towards Lokhandwala complex from Andheri or Jogeshwari railway station. Manish Market is the hub of all the fancy Chinese products. From regular products like mosquito killing racquets to LCD screens, everything is available here for the tech savvy crowd. It is a wholesale market and so is more advantageous for retailers who buy in bulk. Most of this market is made up of street stalls where the dealers sit in an open space and have a table as a makeshift store. They have a common godown where all the goods are stored. How to reach: One can catch a cab or walk down from CST, which is hardly at a 5 mins. walking distance. Lamington Road is a busy street near Grant Road station and is often called as the IT hub of Mumbai. It is famous for its wholesale and retail market of electronic goods. The shops here sell electronic items at prices much lower than the maximum retail price because of the high turnover they have. They also sell outdated electronic parts like transistors, capacitors and more. The area also has some great food outlets to satisfy your hunger. How to reach: The road is right next to Grant Road station (East) and can be reached by walking. We are sure that after going through this list, you will be hurriedly adding a few of these places in your travel itinerary to Mumbai. Even if you’re not a fan of street shopping, these places are sure to make you one, and even if they don’t manage to do so, the experience of visiting them is still unique. If you have visited any of the above places, do let us know your experience in the comments below!